Come see the NEW treatment room in Collingwood!! 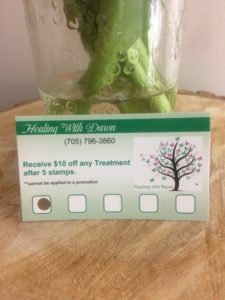 Each time you see me for a treatment, receive a stamp on your Gratitude Card. After 5 stamps, receive $10 off your next treatment. Stamps are also given for Referrals as a thank you from me as well. **You must give Healing with Dawn 24 hours notice if you cannot make the appointment. Please understand cancellations or no shows with less than 24 hours notice are subject to cancellation fee which is 50% of the scheduled service. A credit card number will be requested upon booking. You will not be billed unless there is a cancellation or no show. You may choose your payment method following treatment. Cash, etransfer is accepted. Please note Credit cards are accepted as well but are subject to a 2.5%service fee. 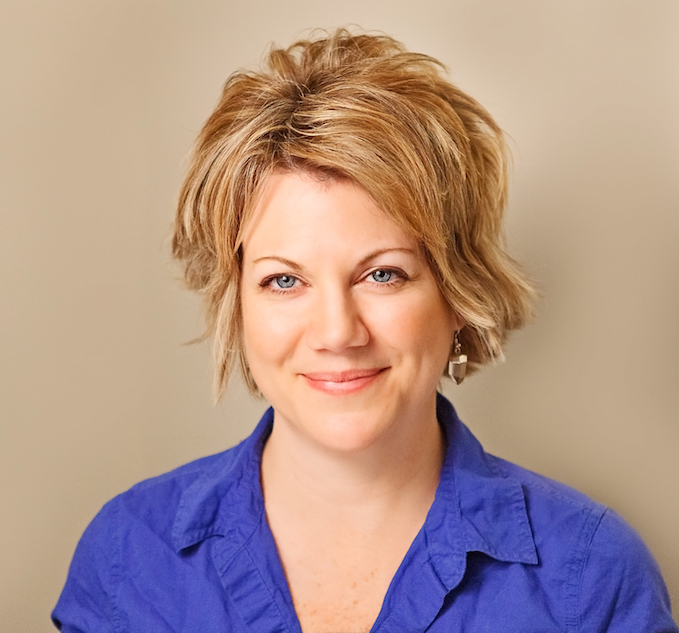 I recognize the time of my clients and myself is valuable and have implemented this policy. When you miss an appointment, I not only lose business, but also the potential business of my other clients needing treatment. Thank you for your understanding.